Courage. Truth. Love. Dream. These are some of the words that matter to Coach when it comes to promoting inclusion and optimism in the brand’s Words Matter short film, directed by the Oscar-winning director Spike Lee, which kicks off a serial campaign featuring friends of the brand. Last week, almost immediately after the 91st Academy Awards, when Lee jumped at presenter Samuel L Jackson before accepting the Best Adapted Screenplay award for BlackkKlansman alongside team players Kevin Willmott, Charlie Wachtel and David Rabinowitz, Coach announced the release of Words Matter, starring Coach’s current global ambassador, and one of the season’s hottest rising actor, Michael B Jordan. 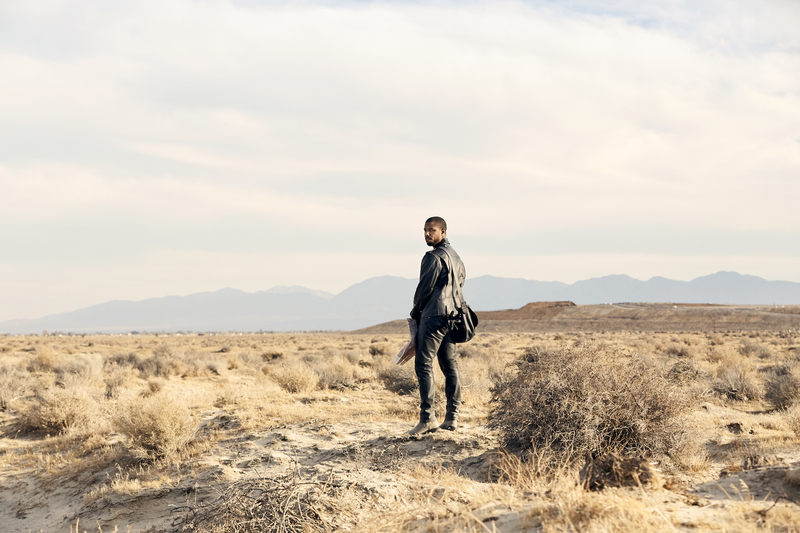 The short film opens with Jordan alone on his journey, traversing the hot, dusty landscape on a motorcycle. He dismounts his bike to find rocks scattered among the desert scrawled with negative words: “Hatred,” “Evil,” “Bigotry,” and “Lies”. With something as simple as replacing the bad rocks with good rocks scribbled with positive words — “Courage,” “Truth,” “Love” and “Dream”, Jordan has taken matters into his own hands, and rewrites a new legacy. Shot in the desert outside Los Angeles this past fall, the short film features a strong poetic narrative that speaks to Coach’s values of inclusion, optimism and courage. The pair handpicked the distinctive words featured in the narrative to champion a message they both believe in strongly, emphasising the importance of these values today, and its purpose-driven concept that reinforces what the brand stands for. “Collaborating with the iconic Spike Lee on this short film for Coach was an inspirational experience,” said Jordan, when asked about working with the renowned director for the first time. In keeping with the conversation that Words Matter has started, Coach has also enlisted friends of the house in a series of first personal videos, directed by Lee’s children, Jackson and Satchel Lee. Showcasing personal points of view on why words matter, the shorts published over the course of several days to inspire the wider community feature the likes of Satchel and Jackson, Brooklyn Nets point guard Spencer Dinwiddie, New York-based artist WhIsBe, dancer Ryan Jamaal Swain, and fashion personality Eugene Tong, each with their own testimonials that link to the film’s core message.